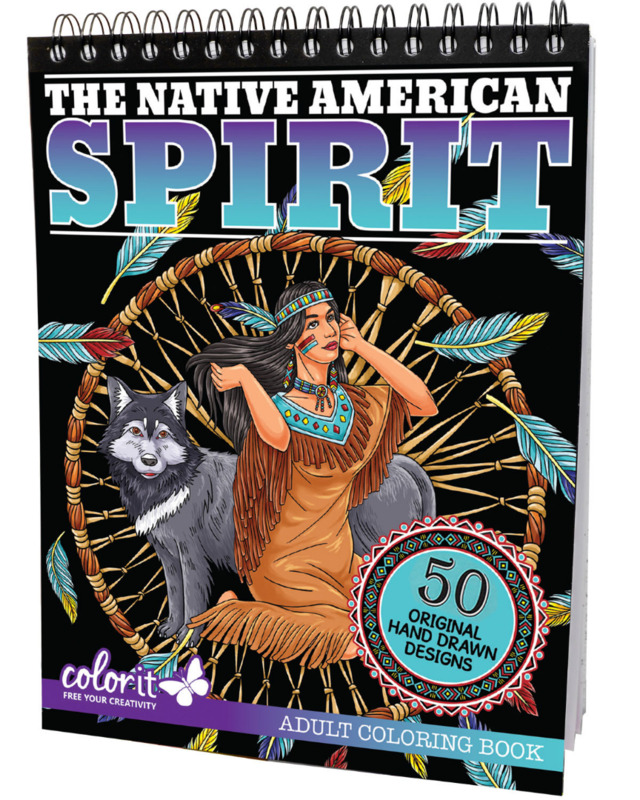 THE NATIVE AMERICAN SPIRIT is a 50-page collection of Native American inspired designs. It includes landscapes, eagles, wolves, bears, feathered headdresses, jewelry, dream catchers, geometric symbols and patterns to color. 🐺 50 HAND DRAWN IMAGES that are beautifully detailed by illustrator Terbit Basuki. Bold, sharp lines make it easy to color inside the lines. Premium full-sized 8.5” x 11.5" coloring book for men and women. 🐺 ARTIST-QUALITY COLORING PAPER - Thick, smooth, acid-free, premium paper that accepts a variety of coloring tools. Colors will come out vibrant and long-lasting. Great surface for colored pencils, markers, glitter gel pens, and brush pens. 🐺 PERFORATED PAGES makes it easy to remove from the binding. Makes a great artwork to put in a frame, to craft, or to send as a gift. 🐺 HARDBACK COVERS provide a flat surface to color on and protection for your coloring pages. Its double spiral binding allows a quick flip-through. The ideal format for right or left-handed coloring. Bummer. Don’t worry, it’s probably not lost in Narnia. If you have a Gmail account, make sure to check your "Promotions" tab at the top of your inbox. Oftentimes, our freebies will get sorted out into that tab! Print Your Freebies On Our Paper! 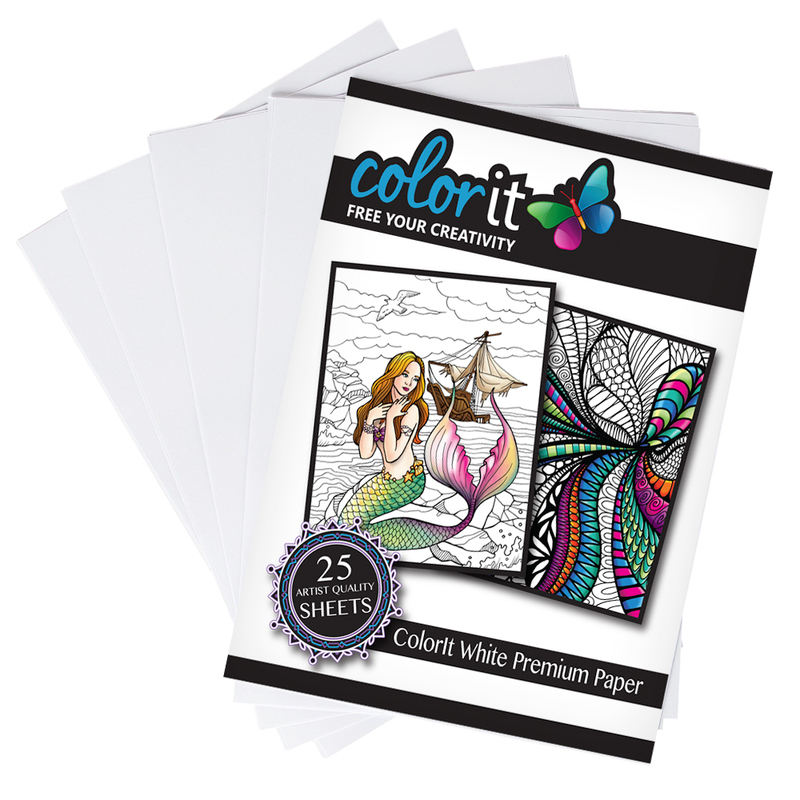 Showcase your art on high quality, artist-grade paper and experience our coloring pages the way they were intended to be...on ColorIt’s premium paper! Print your freebie drawings on our thick, acid-free, paper that we use in all of our coloring books and experience coloring like never before!